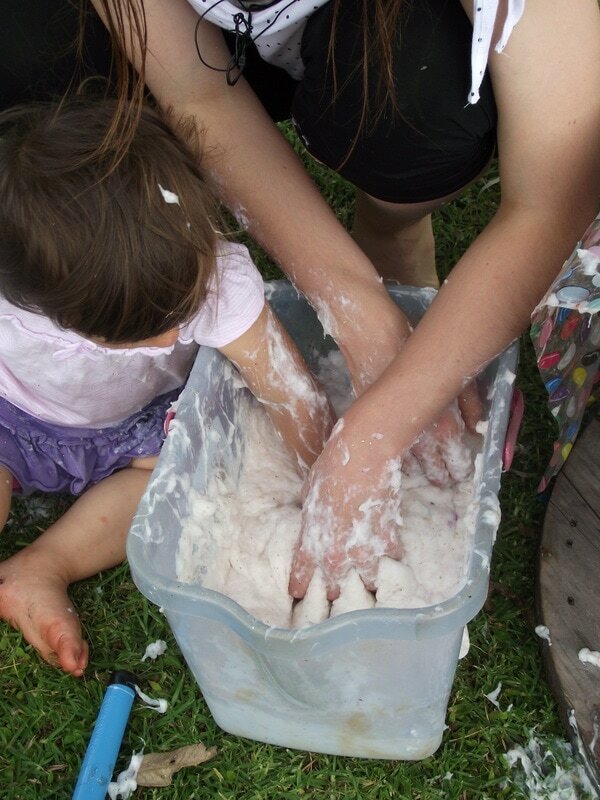 I love finding easy ways to incorporate sensory play opportunities and this easy soapy slime recipe is a favourite! It’s slimy and gooey, makes a great talking point and is a stress buster! 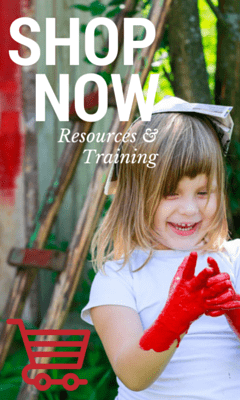 It’s also perfect for all ages as it is safe for baby and toddler to handle but still offers challenge and excitement for older children who love their sensory play! 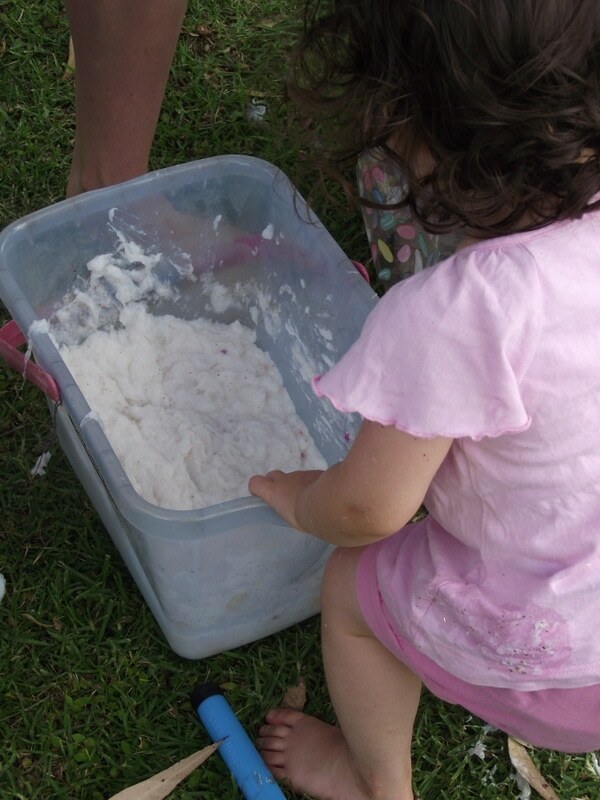 I have used this simple recipe for soap slime since starting in child care many (many!) years ago and it remains one of my favourites because you can reuse it quite a few times if careful with storage and the materials are budget friendly and easy to organise. Try making some yourself with this easy recipe! Edicol dyes or food colouring if you want to make coloured soap slime. Add lux flakes (or grated soap bars) to your bucket. 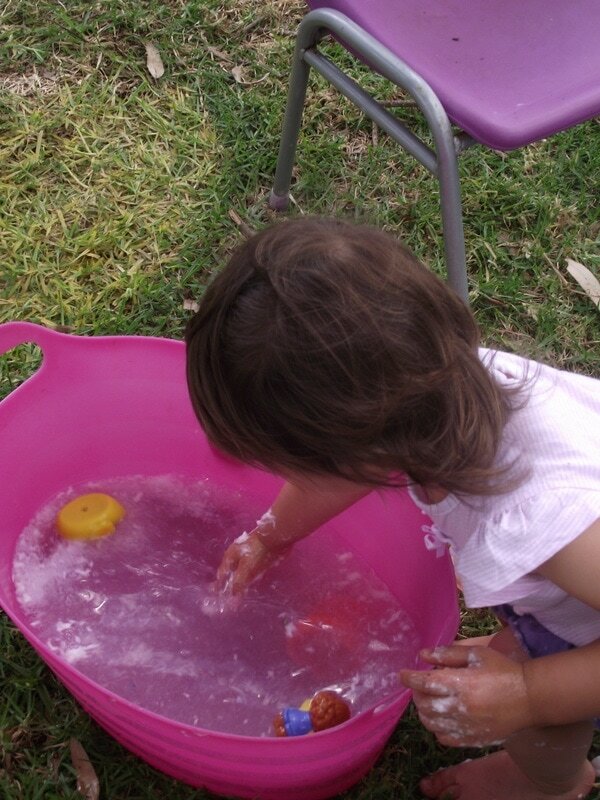 If you plan to use the container you mix in as a sensory play tray then I suggest using a shallower tub so more children can access the slime at once – the water trough works well. I usually like to tip some out onto a table so they can really have fun exploring and making it a whole body experience if they want to! 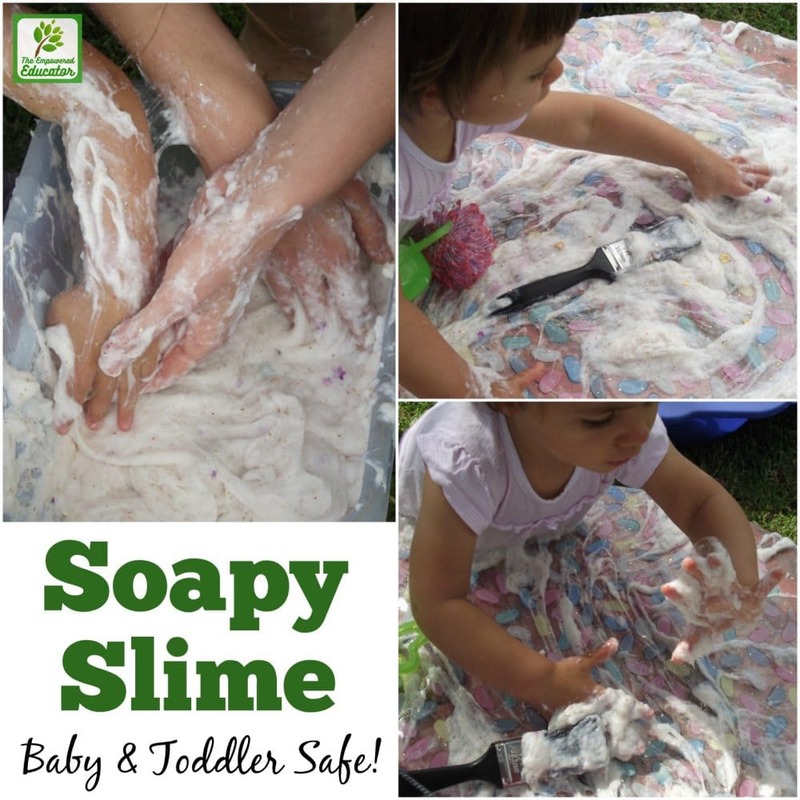 When you have your soap in the bucket or tub you want to use carefully add the hot water (use only warm if doing this part with the children). Mix together using the whisks or beater and then I like to leave overnight or at least for a few hours as the mix will go beautifully thick and this way you can tell if you need to add more water or more flakes to get the consistency you desire. You can add your edicol dyes or food colouring if you want at this stage but for this batch I kept it white and just added a little glitter and a few foil stars to make sparkly slime. You also don’t need to add anything at all of course! Because it is a soap base it washes off easily when time to clean up and will keep in a covered container for quite a while if you keep it relatively free of other matter! 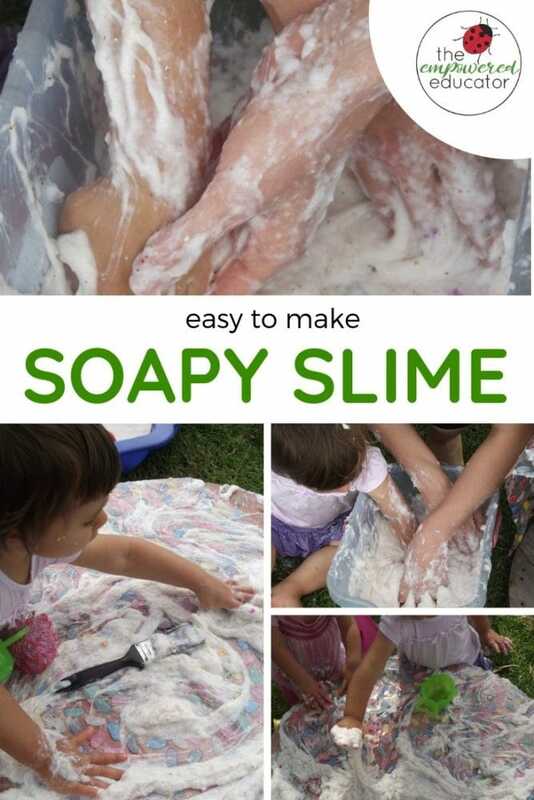 You can download a free PDF factsheet with my soapy slime recipe and ideas for play by clicking the image below! Now it’s time to experiment and play! 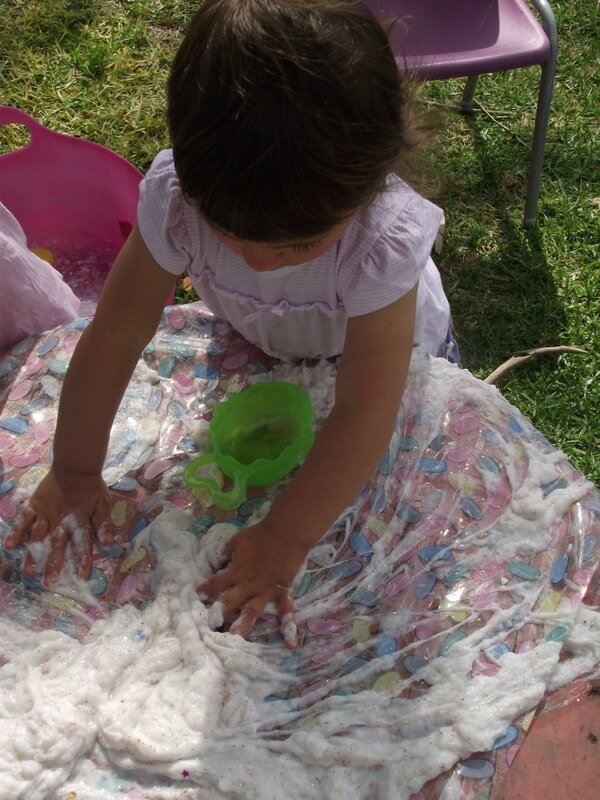 You might choose to leave it in a wide shallow tub and add some themed pieces like animals or natural materials or you can simply tip some out on a table and invite those little fingers to get busy squelching, pouring, fingerpainting, cooking, drawing patterns and so much more. 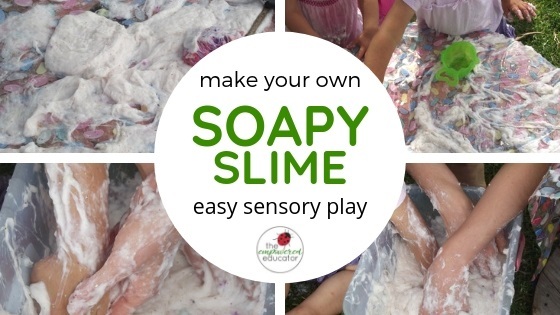 It is a wonderful sensory experience and I dare you not to want to put your own hands in there too – a lovely stress buster for anxious children (or stressed educators!) It also smells beautiful. 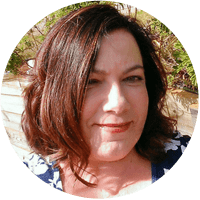 I often find the toddlers are fascinated with the stretchy, slimy texture and they love getting their whole body into exploring this medium. 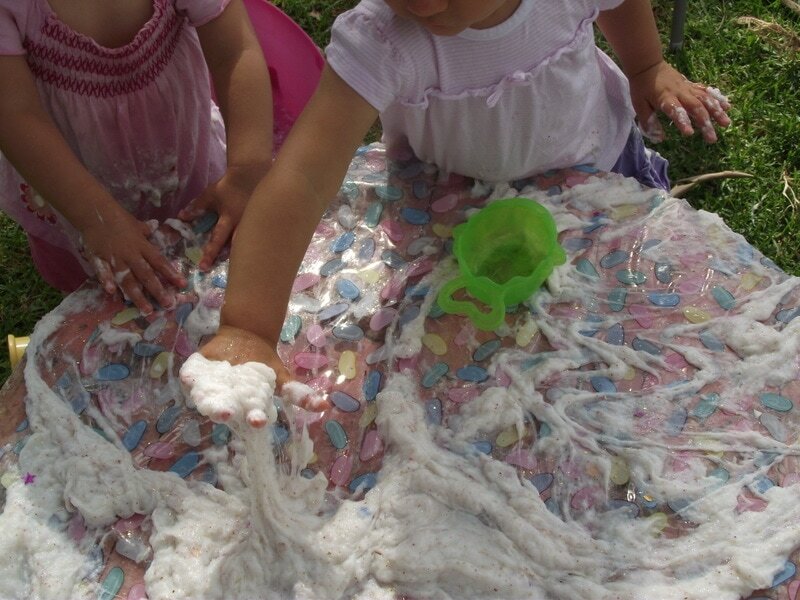 Soapy slime provides lots of opportunities to initiate conversation and descriptive language as they play. What does it feel like? What can you smell? Keep it simple and enjoy the play and the wonder on those faces! 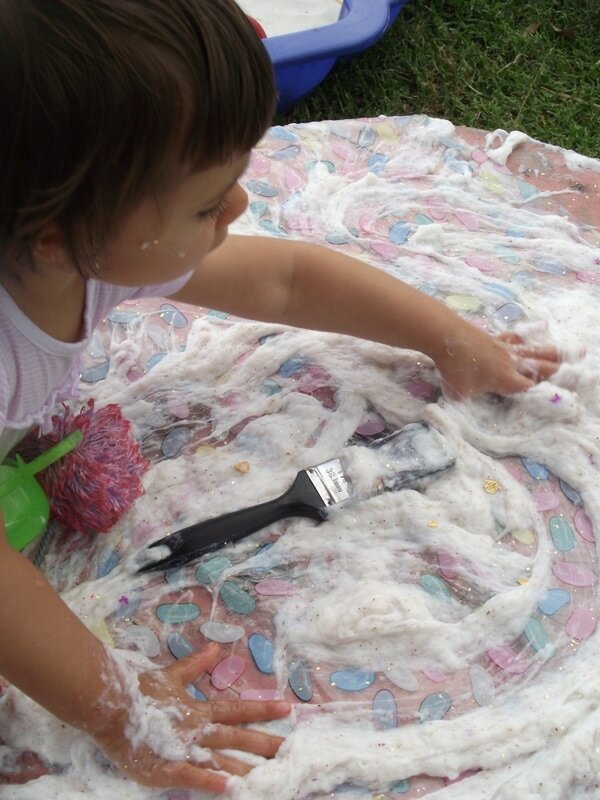 If you find your slime isn’t as thick as you hoped just add some more soap flakes, mix well, and then leave for a bit longer before bringing it out for play. It can be a bit of an experiment but once you get it how you want it you can play over and over again. 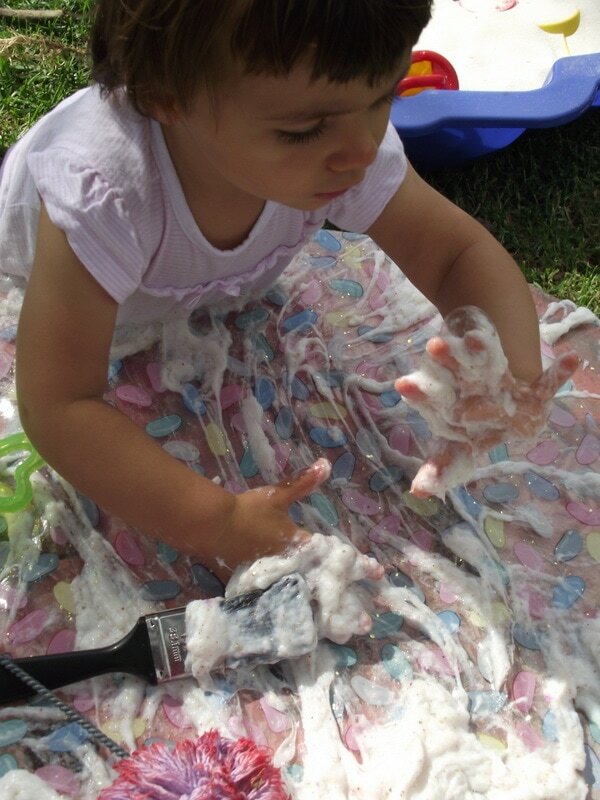 It can be a little overwhelming for those children who are sensory sensitive like my Ruby, so introduce them slowly using a small amount first and keep a bucket of water handy for washing hands as often as they feel the need to. Try not to force or rush them, they might need to just sit back and watch a while first before slowly venturing in with hands. I also provide a few tools so that those children who are sensitive to mess on their hands can first touch the slime using a ‘tool’ and not their hand. 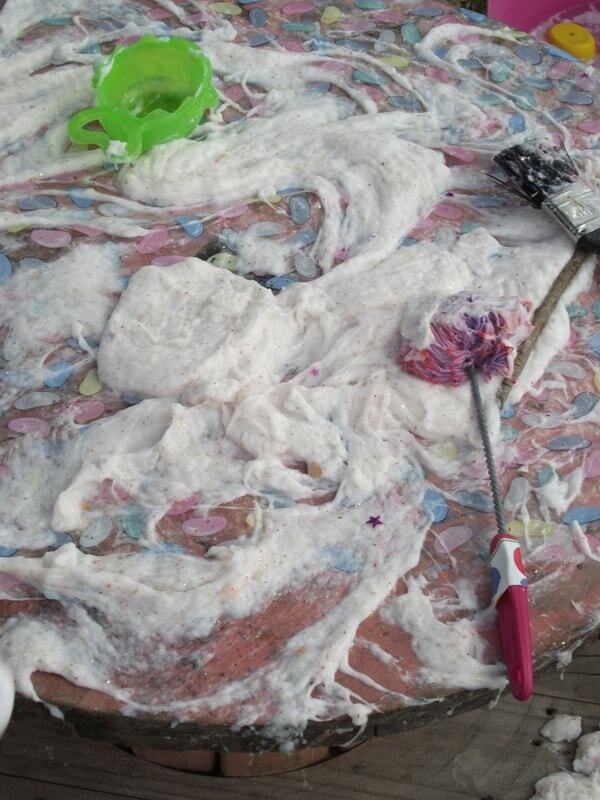 Large paintbrushes and dishmops work well with this thick slime. 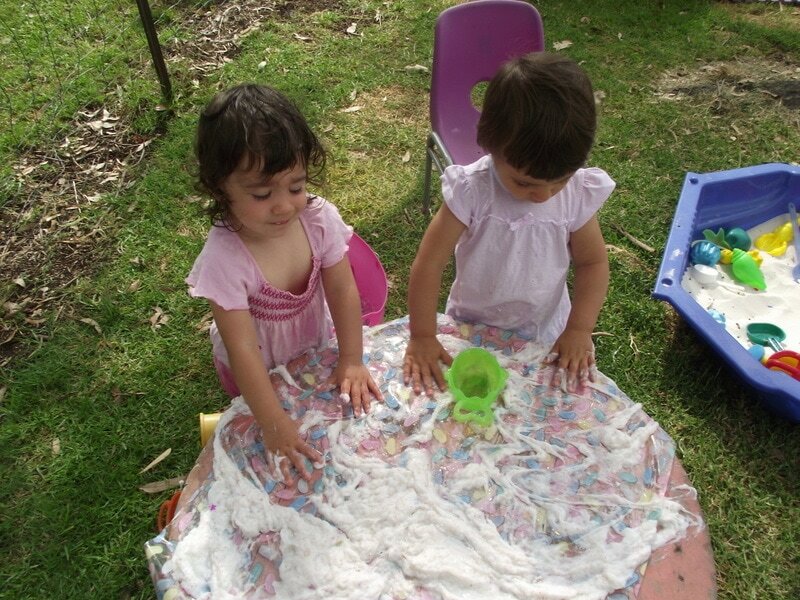 Other children will enjoy using them to create patterns and pictures as well! Then it’s back in to the glorious feeling of that slime on the hands for others! 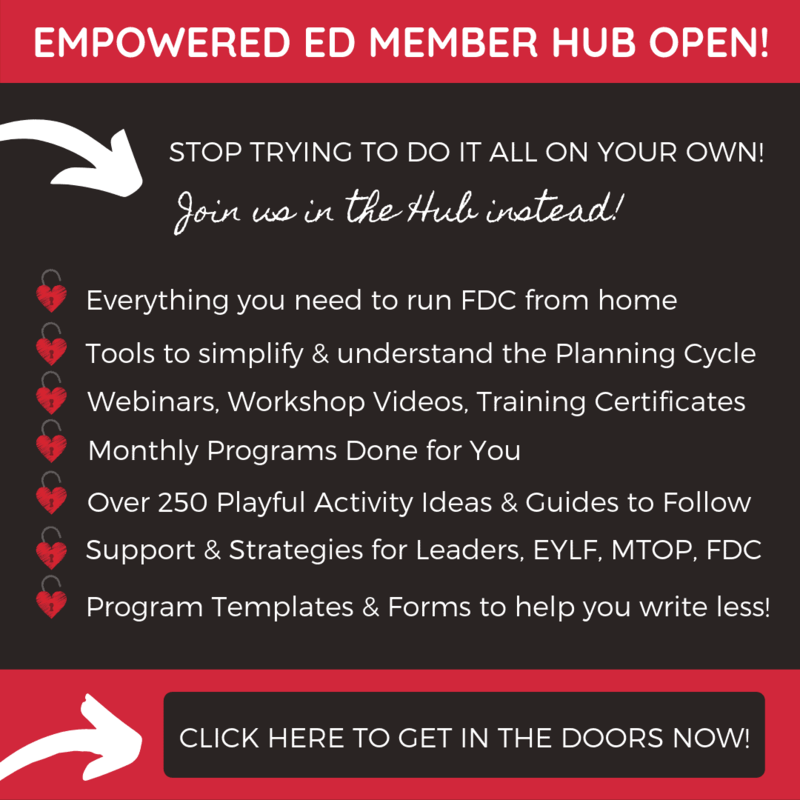 On Pinterest? 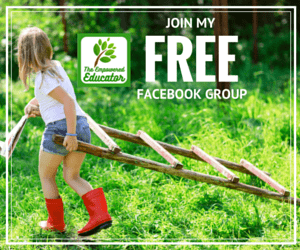 Why not save the image below so you can find this post again easily when you want to give it a try yourself! Don’t you just want to go and mix a batch up so you can get your hands into it?! 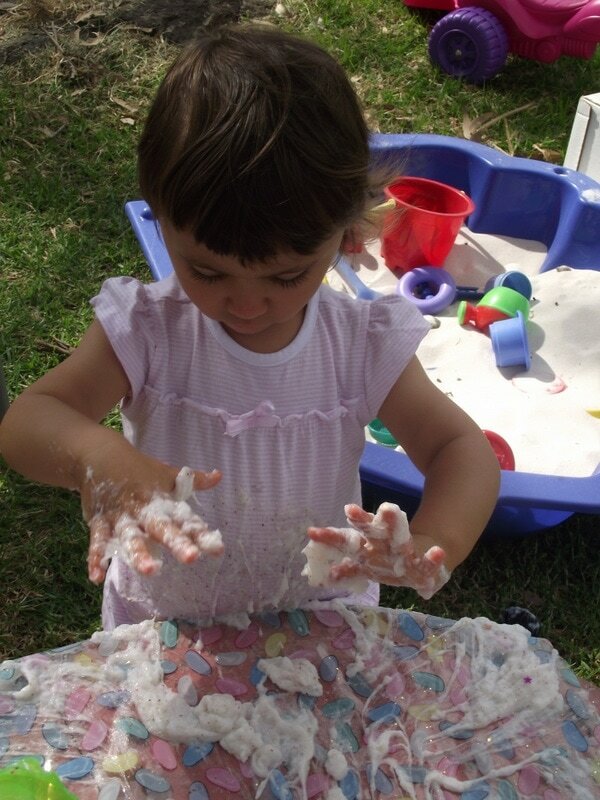 Go on, get messy and have fun!